Interior design is no simple feat. There is far more to it than picking out a fresh coat of paint at the local hardware store or buying matching furniture. Interior design is an art form, a way for you to express yourself with your space. Whether you’re wet behind the ears or a seasoned DIY design pro, some inspiration from the best in the business is always welcome. 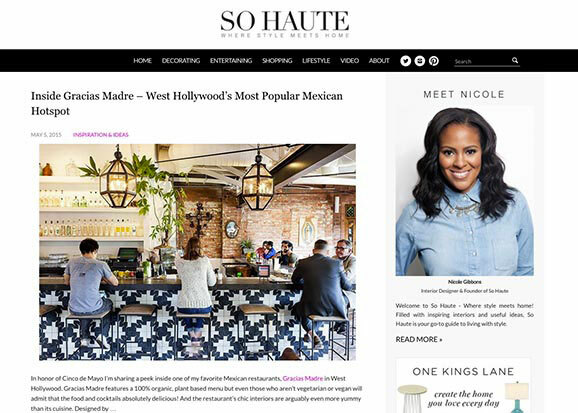 Here are the 53 best interior design blogs to embolden your design choices. 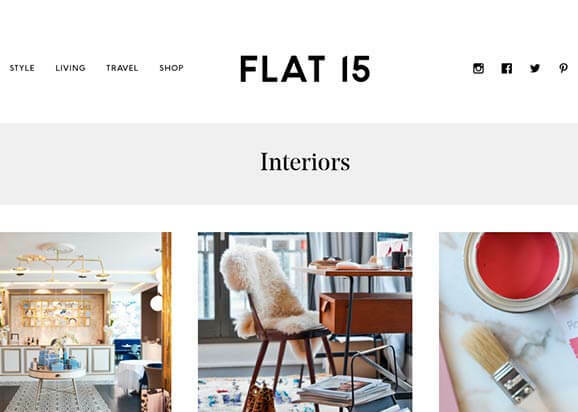 Flat 15 is a nice, simple blog that offers short and snappy guides on things to consider when designing your home. One of its strengths is that it regularly runs “top five lists” - articles that provide you with a starting point on proven design and fashion while also giving you a lot of ideas in one place. 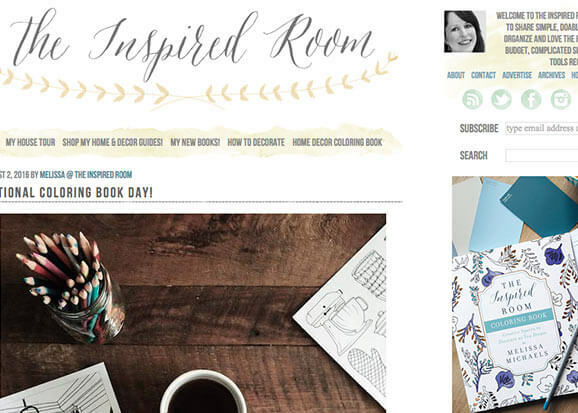 The Inspired Room is managed by Melissa Michaels, an author that specialises in making homes comfortable and “homey.” Michaels uses the blog to promote her decorating and homemaking books, but you’ll also find a wealth of information, guides and simple tips to help inspire your own home design projects. Usefully, Michaels also provides shopping links for most of her furniture “discoveries,” so that, once you have been inspired, you know exactly where to go to shop. 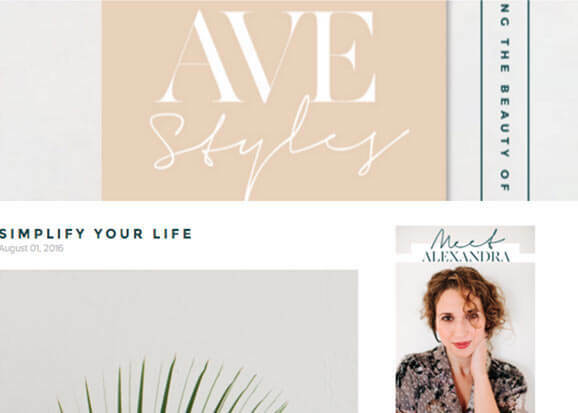 Avestyles is a blog with a bit of everything. You’ll find some useful home design tips, tricks and discoveries, but equally you’ll get plenty of fashion tips, back-to-school ideas for the kids, and lifehacks. The blog also features beautiful photography and images, perhaps because the author is also heavily involved with Pinterest as an official ambassador of the social media site. The coolest feature that you’ll find in The Rhapsody blog is the profiles section. There you’ll find in-depth features looking at the successful projects that professional designers have worked on, along with their insights into the project. With plenty of accompanying images, it’s easy to get inspired from these projects, and then come away from the blog with a real understanding on what you need to do in your home next. Designed for Life won’t provide you with a lot of information in itself. It’s not there to be a practical “how to” guide on design principles. Instead, what this blog offers is a searchable database of visually spectacular examples of different approaches to design. Are you interested in minimalism? The website has a section devoted to the most vivid minimalist environments. Or perhaps you’re more interested in that “Asian” look - this blog will show you, through pictures, how that might be different from an “Industrial” look. 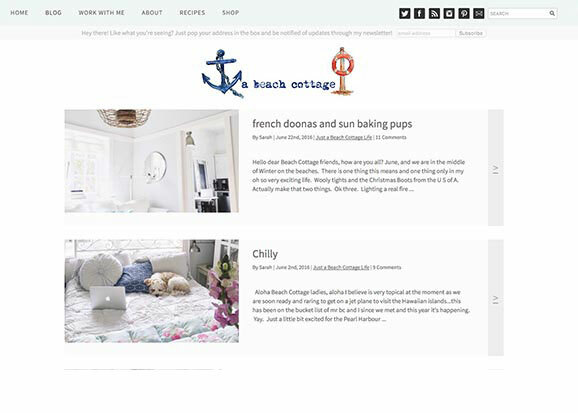 A Beach Cottage is an intensely-focused blog on one single approach to home decor. If you’re looking to create a beach cottage aesthetic, with breezy interiors and plenty of white to match the yellow sand outdoors (whether real, or that’s just the impression you’re looking to create), then this is the blog for you. Each new post focuses on something small you can do with your room to create that Beach Cottage effect, so it’s worth checking back frequently to get a comprehensive idea of what to do with your own room. 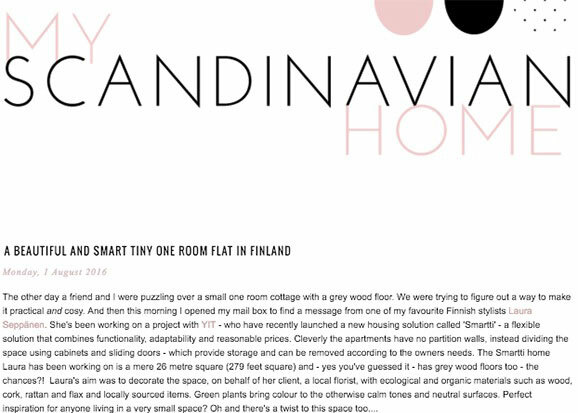 My Scandinavian Home is another perfect example of a hyper-focused blog. This one is entirely dedicated to creating that visual impact of a rustic Scandinavian home in your own place, no matter where you are. You’ll see plenty of gorgeous photos of fireplaces, woodwork, and country living in this blog. The author also goes heavy on the linking, so you’ll know where to go shopping once inspired by this blog. 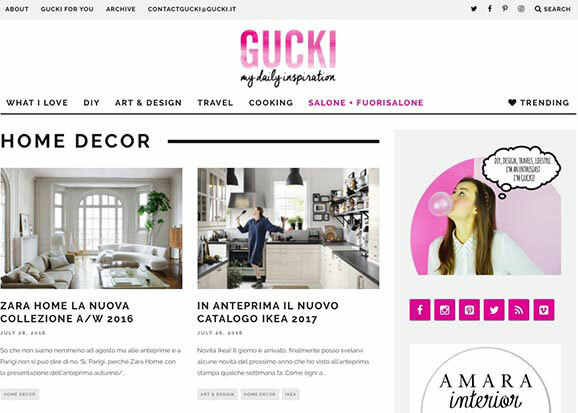 Don’t let the Italian language barrier stop you, this is one interior design blog you should still add to your list as you go through your own home design projects. Why? Because the photography is so interesting and vivid that you’re surely going to be inspired by what you see. And if your Italian is a little rusty, Google Translate will have you up to speed on the best design tips in no time. This is an award-winning interiors blog, and it won’t take long to realise why; it offers a sense of creativity in the posts that many other interior design blogs lack. In other words, the author has a knack for coming up with tips and tricks that you just wouldn’t think of otherwise, to help fill out the small details in your own projects that can make all the difference. Accompanied with plenty of photography, this blog is an incredibly useful and practical guide. 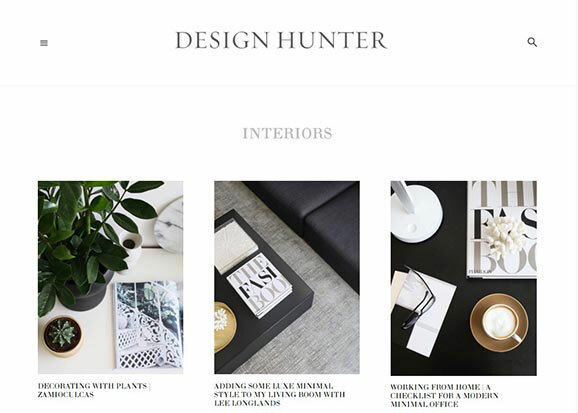 Design Hunter is a simple, clean blog that is quite enamoured with design. Basically, anything that has caught the author’s eye is worth a blog post here. What helps the blog really stand out from the others is the quality of photography, and the expert eye that the author has for the classic, beautiful look, and her understanding on how that effect is created. 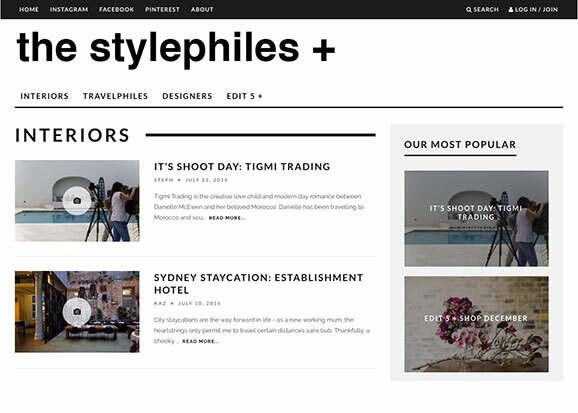 Created and maintained by a duo of designers from Sydney, The Stylephiles is a blog that focuses on sharing information that comes from a position of expertise. Where other interior design blogs are written by admirers, this one comes straight from the minds of the trend setters. The blog posts themselves are quite snappy and to the point, but help to give you an insight into how professional interior designers think and approach their craft. 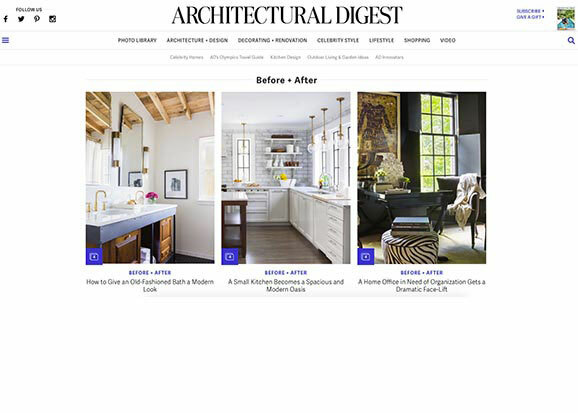 Architectural Digest is a blog with far greater resources than most other interior design blogs. Why is this important? Because the most compelling feature of this blog is, easily, the celebrity spotlights, which features celebrities sharing photos and talking about their homes and their own design techniques. So, if you’ve ever been interested in how celebrities go about buying and decorating homes, here’s the number one spot for you to visit. The reason to come to this blog is the author behind it. Nicole Gibbons is a celebrity in her own right in her home country in America. She’s on television, is a designer in her own right, and the blog firmly places her as an influencer in interior design. The blog itself is light on information, being more interested in inspiring than guiding, but you’ll get a lot of ideas from the high quality photographs and information bites nonetheless. Many interior design blogs are one-person bands, which is fine, but it means you’ll need to go to a lot of them to get a decent range of insights that you’ll want in developing your own projects. 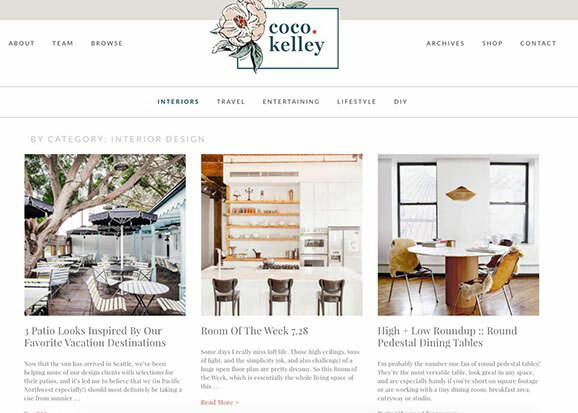 Coco Kelley, meanwhile, prides itself on being the work of collaboration, and aims to be a one-stop shop which will give you multiple perspectives, from all over the world, by itself. The “country lifestyle” is in vogue at the moment, with many people looking for advice on how to transform their homes into a slice of life right out of the country. Country Living is the blog to go to to make that happen. It’s very heavy on the “top tips” list, too, which makes for no-frills, practical tips and tricks to make achieve that nostalgic rural aesthetic. 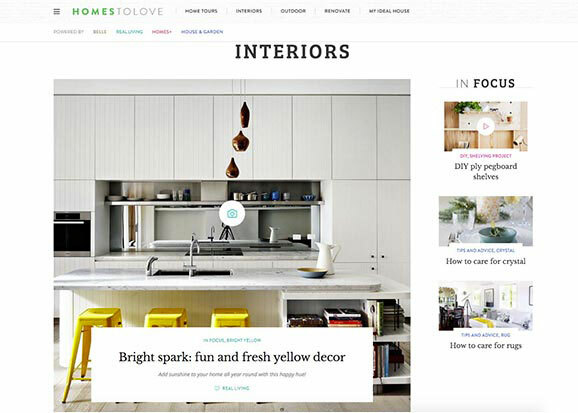 Homes to Love is a really useful blog that’s less a source of information in its own right, and more a collection of features drawn from some of the most popular home design magazines out there. 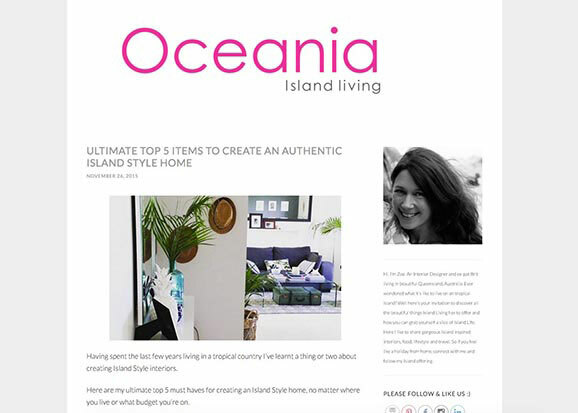 The blog is maintained by publisher, Bauer Media, and contains content from Belle, Real Living, Homes + and Australian House and Garden. 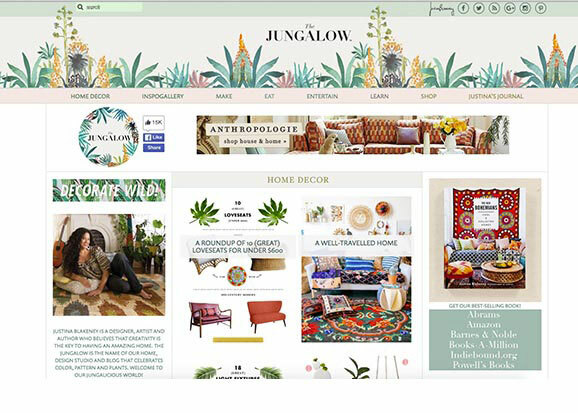 Jackie Brown’s blog has very little text - it’s not designed to provide advice, guides, or information on how to achieve home decorating goals. Rather, it’s an inspirational portfolio of Jackie’s work. 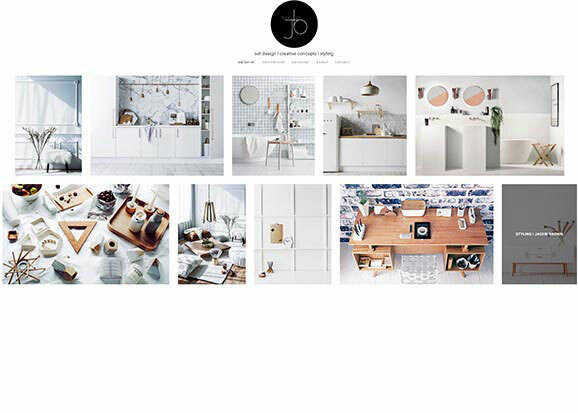 A designer for commercial clients, Jackie has a deep understanding of what is chic and cool, and her blog shows off the best examples of both. 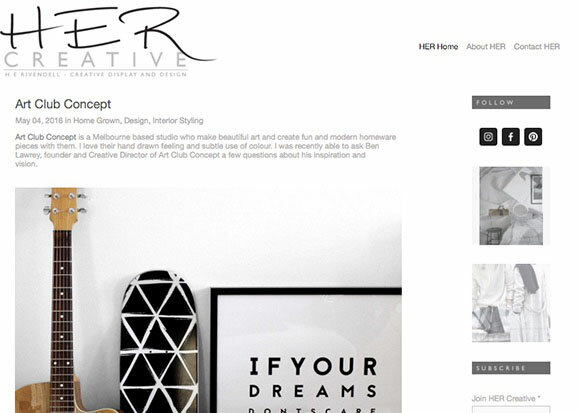 Sarah Ellison is a well-known name in Australia’s interior design circuit. She’s the style editor of Real Living magazine. 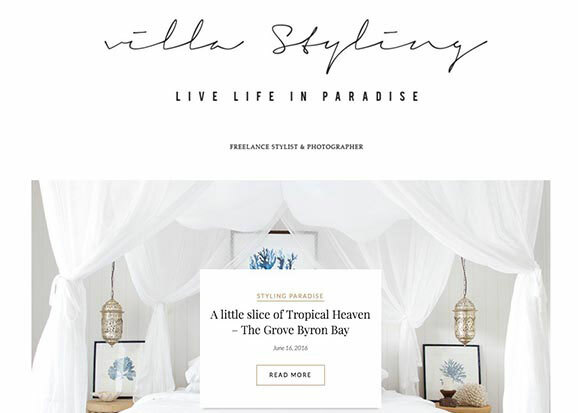 Her personal website and blog is designed to act as a portfolio of her best work, with plenty of really creative photography to show off utopic, lifestyle living. You won’t find too much advice on how to design your own spaces here (after all, you should be buying Real Living for that), but the photos will surely inspire and delight. Queensland in Australia has a culture entirely of its own, and that flows through to home design, too. 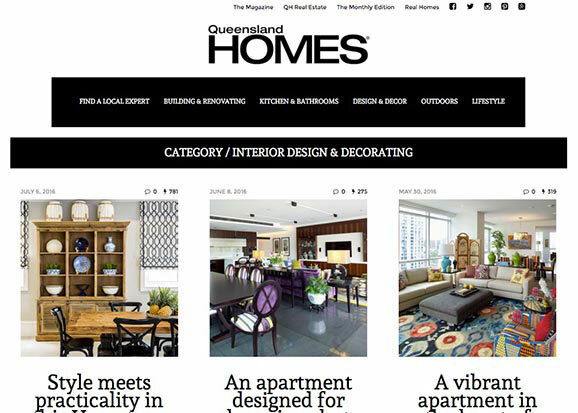 Queensland Homes is a popular magazine dedicated to the good work in interior design that goes on in the state, and the accompanying website offers attractive photography and feature articles to help inspire you and then achieve the “Queensland look” in your own home. 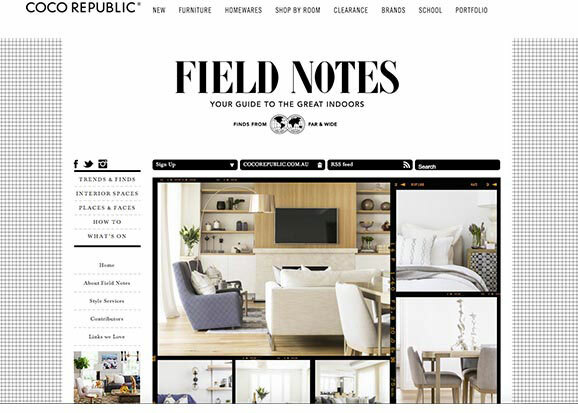 Maintained by the Coco Republic team, field notes provides readers with standout examples of exceptional interior spaces from around the world. 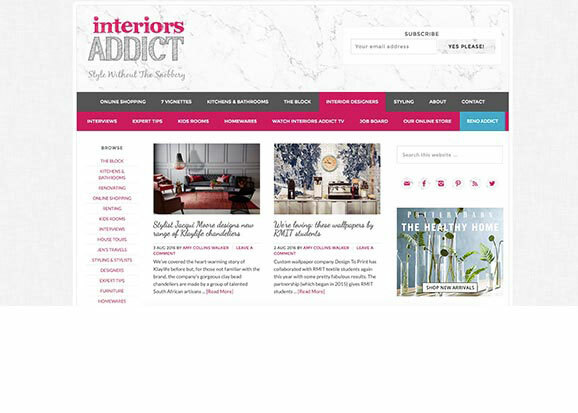 The content itself is a combination of informative articles on current popular trends, as well as articles that highlight individuals doing exceptional work in interior design. The photography is designed to emulate the effect of “quick snaps”, but offer plenty of detail in showing you exactly how to achieve the stunning interiors yourself. This is a full lifestyle blog, providing insights on the author’s thoughts on food, life, living, and the interior designs that she finds most interesting. What is most appealing about this blog is how down to earth it all is; there’s no pretentiousness about any of the blog posts, it’s just personal thoughts straight from someone who really enjoys writing about lifestyle. There’s also plenty of tips on how to best use garage sales and other such alternative outlets to find distinctive additions for the home. 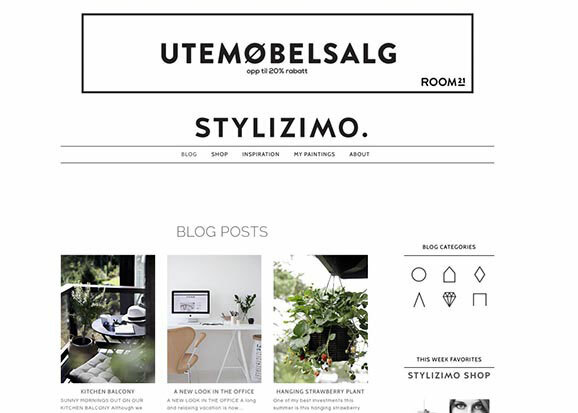 Stylizimo is a blog run by an artist with a real passion for interior design. It’s minimalist in design and tone, but has fostered a strong community over the years of people who come for the excellent photography, as well as insights into lifestyle and home decorating design. The author covers off every possible room you might have in your home, too, so you’ll be able to get inspiration from end to end in your own renovation projects. Unfortunately this blog doesn’t seem to be updated any longer, with the most recent post dated back in 2015. Nevertheless, it’s worth checking out, because the content that’s on there is quite timeless, and offers an specific area of focus that many people find appealing. The Oceanic islands are known for their laid-back, tropical cultures and design, and it’s an aesthetic that many people would love to recreate in their own homes. With this blog, there are practical tips and tricks to achieving that. 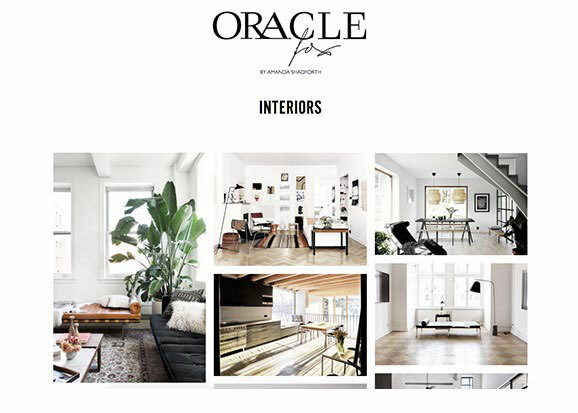 Oracle Fox is one of the most visually attractive interior design blogs that you’ll come across. It’s minimalist on the text, allowing the photography to do the talking, and the photography is incredible stuff. 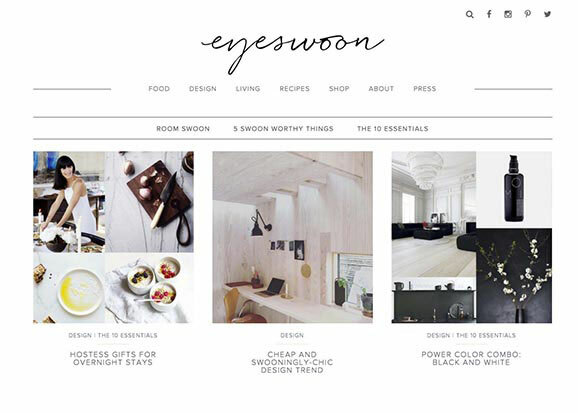 Maintained by one of the best-known names in fashion blogging, Amanda Shadforth, the interiors on display through this blog are, as you could guess, heavily inspired on what is most fashionable in interior design at the moment. So, if you’re looking to create something distinctive and cool, this is the place to go. 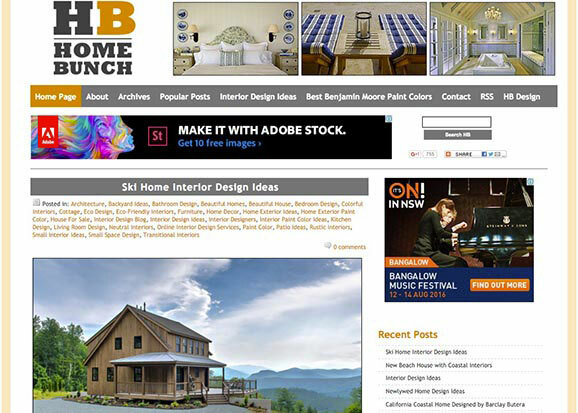 Home Bunch aims to offer readers practical insights into home decorating projects that are realistic and stylish. Where many other blogs focus entirely on the most aspirational of designs, which look better in photos than the typical pundit might be capable of achieving, this blog is really there for anyone, providing useful photos for designs that the typical person would be able to achieve, regardless of skill level. Home Stratosphere is a bit of a DIY pundit’s best friend. There’s plenty of articles that feature gorgeous homes and environments, sure, and these are inspirational to look at, but the real meat of the blog is in its DIY guides and top ten lists, which will give you a wide range of ideas in how to solve your own home decorating challenges. The blog is aimed at the everyman, so regardless of your skill level in DIY and interior design, you should be able to come away from this blog with a practical understanding of what you need to do next at home. 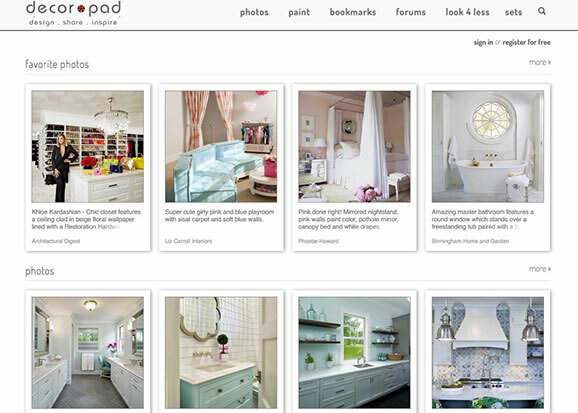 What makes Decorpad so interesting is that it is entirely community-driven. Users from around the world share photos of home interiors that they’ve done themselves (or seen while out and about), and the blog maintains a popular forum in which people share advice with one another. The community is a friendly one, and happy to help people of all skill levels, which makes this site a useful, practical resource for anyone that is about to undertake a design project of their own. 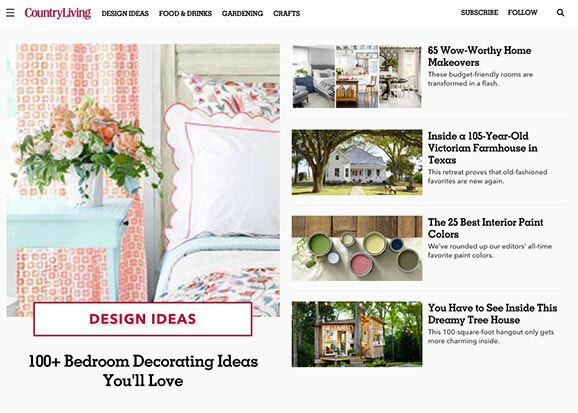 As the name suggests, Elle Decor is a blog that accompanies the Elle Decor Magazine, and pulls a lot of its content from that trusted, long-running magazine. The blog offers plenty of renovator’s advice and design tips, and then the resources that the magazine has available to it means that it is also able to offer plenty of celebrity information and interviews. 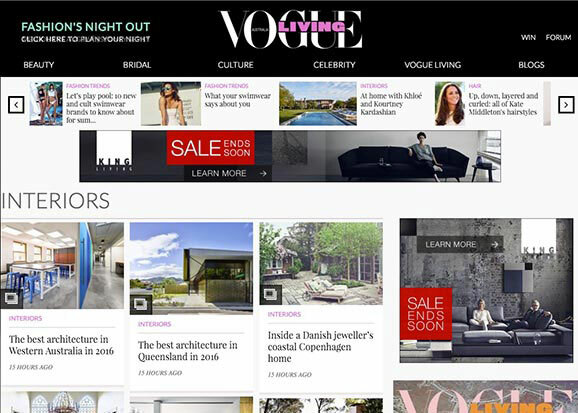 Vogue is one of the most recognisable names in fashion and lifestyle, and its interiors blog - Vogue Living - is up to the same standard. The pull that this blog has is incredible - one recent feature is “inside Barack Obama’s new home,” for example, and the website has some of the best writers and experts in the world providing it with content. If you’re interested in interior design you absolutely should be checking back on this blog regularly. 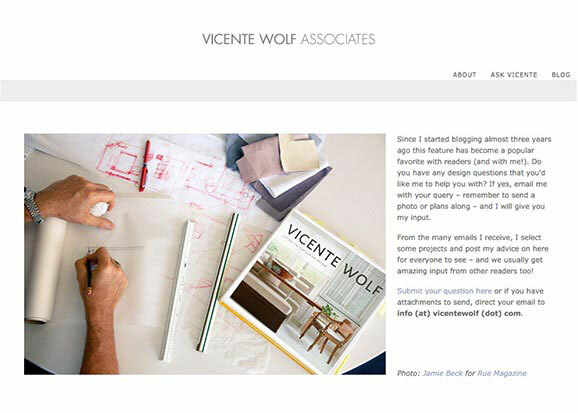 Professional global designer and author, Vincente Wolf, uses his blog to reflect on his day-to-day activities and thoughts on his work. 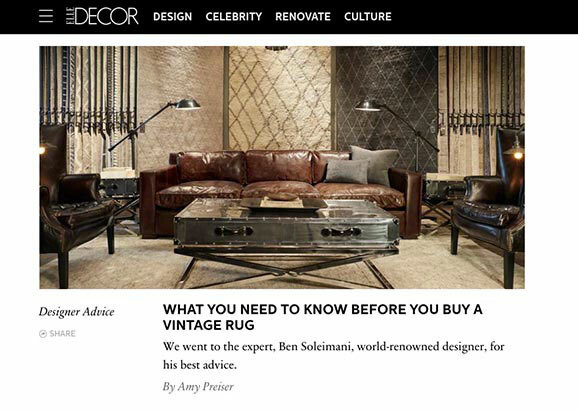 You won’t get too much by way of insights into interior design through this blog, but as the author of four books on the subject, Vincente is one of the most credentialed experts on the topic in the world, and so, fans of the design industry will find this resource compelling in its content nonetheless. 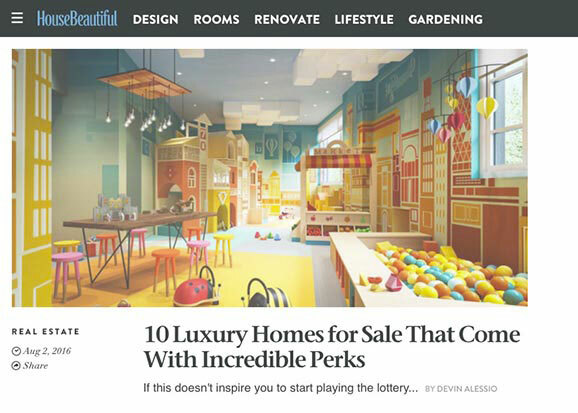 House Beautiful is a well-staffed publication that uses its online presence to provide people with interesting examples of celebrity properties, news, and top lists to help guide people in designing their own spaces. 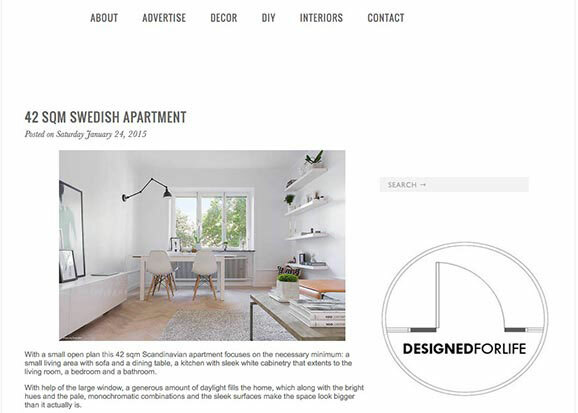 The content of the site is designed to offer something for everyone, regardless of their experience in home designing, and as you’d expect for a professional publication, the quality of the photos is exceptional, making them inspirational in their own right. Summer Thornton is an experienced interior designer that has been featured in most of the major industry publications at one time or another. Where many other designers use their websites as purely visual portfolios, Thornton also takes the opportunity to provide readers with some advice and guides, which she then highlights using work from her projects. 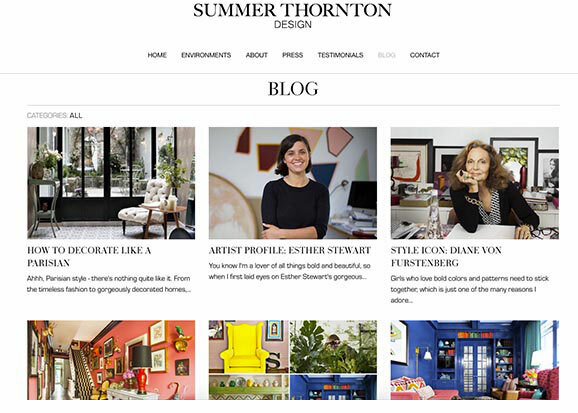 This makes her blog a useful insight into the mind of one of the world’s top designers. MyHouseIdea is a blog that scours the Internet for stunning examples of interior design and architecture, and then provides them to readers as a way of inspiring their own home decorating projects. Each blog post offers a brief introduction to the space - where it comes from, who designed it - and then provides a gallery of photos that really show off why that space is special. Louise Roche is a freelance stylist and photographer that uses her blog to show off her projects and her thinking in the the work behind them. For readers looking for in-depth insight, this blog is notable in that it does go quite in depth into the design process, and uses photography to really emphasise the way that Roche goes about her work. It’s also fascinating to learn the background behind some of the designs that she puts into people’s homes. For people looking for in-depth insight into how to achieve their home design goals, Inside Out is a good choice. Focused around helping people achieve their DIY goals, this blog offers in-depth information from experts that help to explain new concepts and trends, and then guide readers through projects step-by-step. There’s also information in the blog on how to achieve just about any kind of “look” that you might be interested in, right through to practical tips to dog proof your garden, or make it look like you have more space in a home than you actually do. 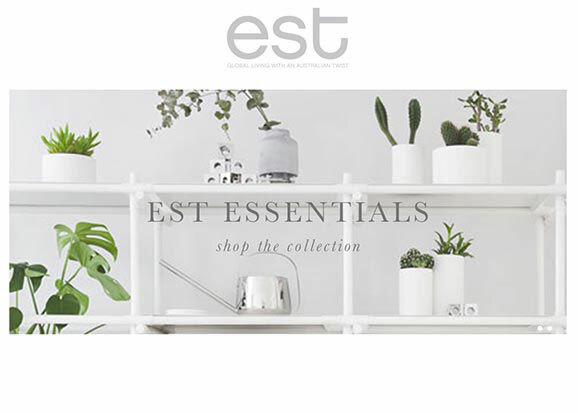 Designed to complement the est magazine, this blog is light on information, but big on showing off creative ideas to inspire your own projects. Each article offers a gallery of photos that show off the unique qualities of a space, as well as highlighting some of the furniture that makes those pieces centre to the experience of the space. The blog for an Australian designer, HER creative collects together some particularly stand-out architecture and interior designs, and then offers stunning photography to really show off the quality of the space. 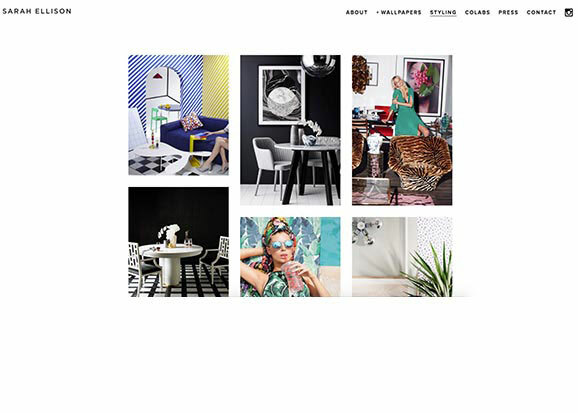 Designed to be more inspirational than informative, by keeping an eye on this blog, you’ll develop a greater understanding of what is in vogue in Australian design at the moment, and what are some of the most creative ideas being implemented at the moment by the true visionaries. 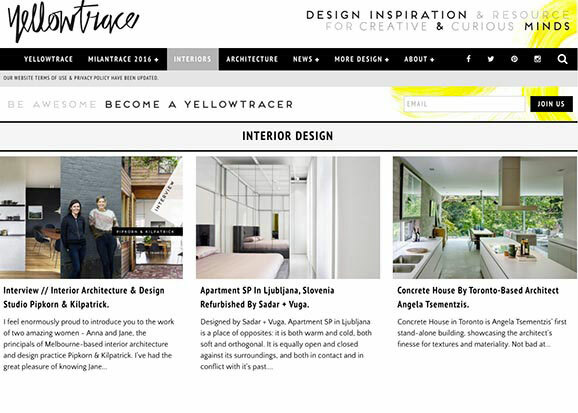 Contributed to by designers from all around the world, Yellow Trace aims to be a resource that shows off the best commercial and residential designs in the world. Each entry is accompanied with a brief description of the space, and plenty of photographs. The only rule seems to be that these spaces need to be truly inspiring and distinctive, and most of the articles are accompanied with the architectural floor plan, which might help you when it comes time to do your own designs, too. 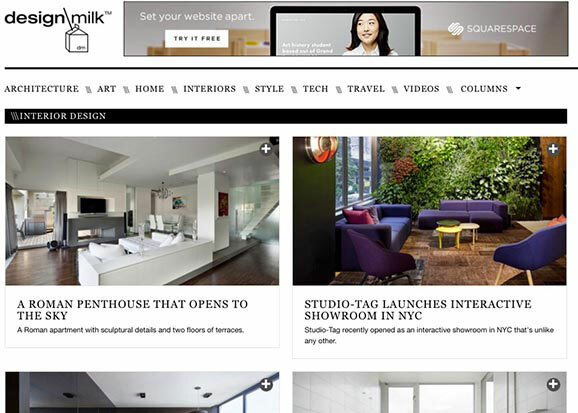 Design Milk is worth a visit because it has a specific focus that it does really well; this blog is all about the new and trend-setting designs. In addition to the photography, which shows in detail the qualities of the spaces being highlighted, the blog provides some useful explainers explaining why the spaces are noteworthy. 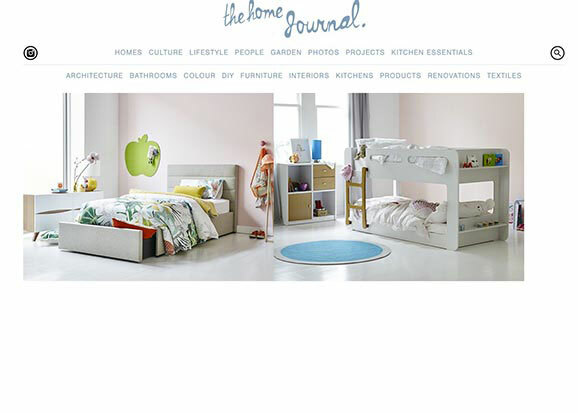 The Home Journal is focused on providing practical advice on how to think about home renovations and decor. Each entry into the blog is supplemented with an in-depth explainer about how the room was designed, and the principles of interior design that help to make the room so spectacular. There are also plenty of in-depth DIY guides that offer step-by-step walkthroughs for people looking to start working on their own projects. 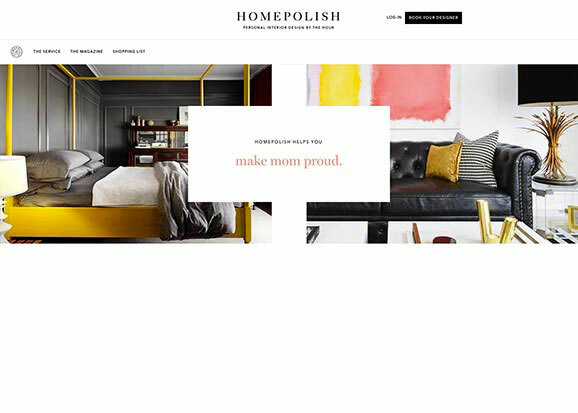 Home Polish is a business that provides customers with comprehensive home design advice online. 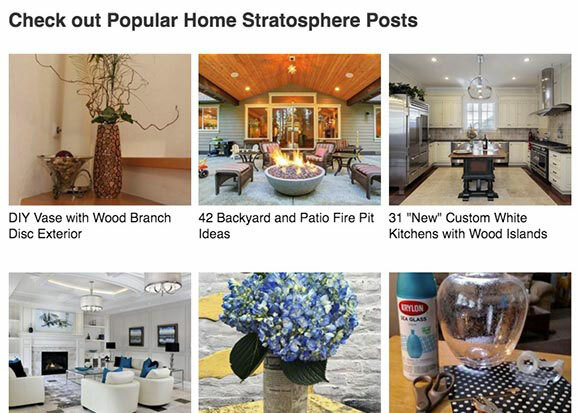 It also maintains a blog that features celebrity information, photo galleries of top home designs, and in-depth design guides that show potential customers the kind of expertise that the business offers. Even if you’re not interested in using the service, however, the blog itself is both inspirational, and in-depth enough to help you with your own projects. Justina Blakeney is a multi-ethnic designer that has won acclaim for her unique, modern, and alternative approach to interior design. She is also an author, having published the popular book The New Bohemians. 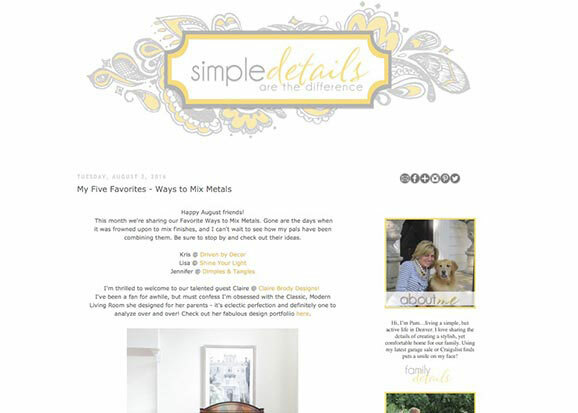 She uses her blog to provide in-depth information and how-to guides to accompany stunning photos of her work. The information she offers through her blog also extends to social media guides and other lifestyle topics that would be of interest to your typical interior designer. 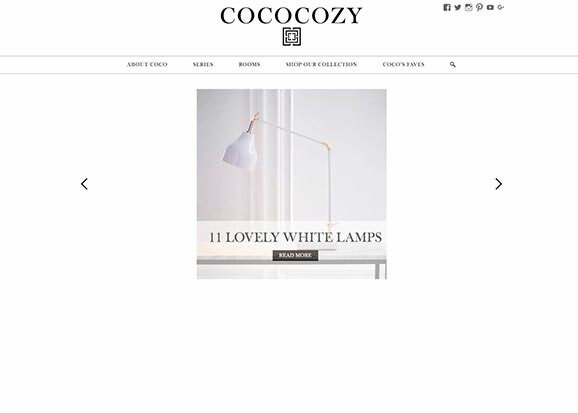 Cococozy is a sales platform; it sells fabrics, pillows, and other home decorating products to designers looking for something chic for their homes. In addition to that, the website functions as a blog with plenty of inspirational photos and guides to help home decorators of all skillsets. 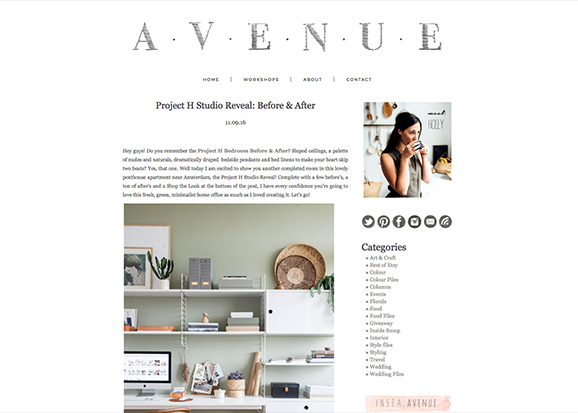 The work of an interior decorator and photographer, Avenue Lifestyle is not just about the beautiful, inspirational photography. The author, Holly Marder, also understands that many of her readers will be people looking to work on their own homes or spaces, and look to blogs like hers for advice and guides as well. Avenue Lifestyle offers plenty of very in-depth analysis on how to approach interior design. 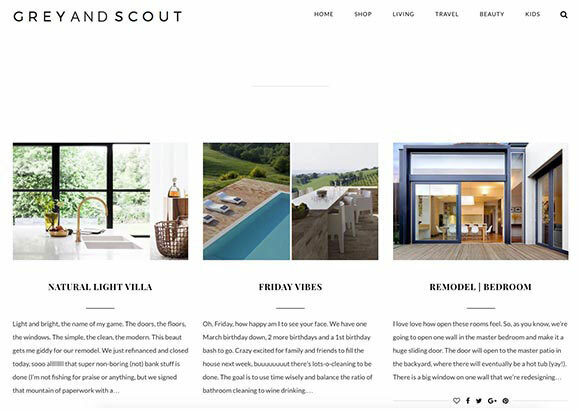 Grey and Scout is a comprehensive blog that covers lifestyle topics as varied as kids, travel, recipes and home. Perhaps the best section of the website overall is the home tours section, which is filled with gorgeous photography that highlight a wide range of approaches that people take when designing their homes. Each entry also offers some commentary on the best design features of these buildings, to help get you thinking about what might work for your own space. 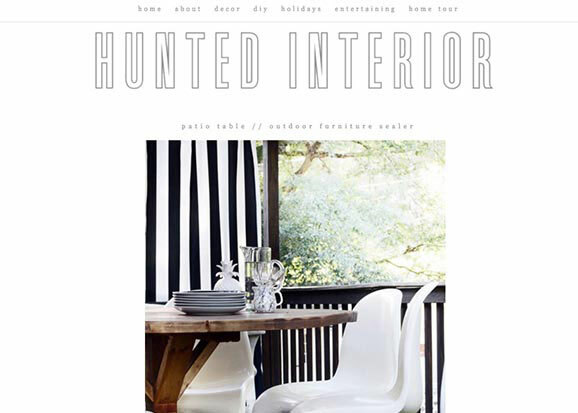 Designed as a blog to inspire people looking to renovate their home on a budget, Hunted Interior is a simple blog that provides practical advice and photography to show people how they can achieve a lot without spending a great deal of money on it. There is a focus on clean elegance in the designs that the blog highlights, which will fit in with the overwhelming majority of Australian living spaces. Maintained by a woman from San Francisco, SFGirlByBay is a blog focused on the kind of hip, bohemian lifestyle favoured by so many in the San Francisco area. A diverse blog, SFGirlByBay offers advice around fashion and food, as well as art and home design. Because individuality is so important to the hipster aesthetic, the real strength of the blog is the way it shows how to hunt out and find distinctive pieces for your own home. One of the most visually spectacular blogs you’ll see, Eye Swoon’s focus is on highlighting distinctive or unique things that you might want in your own home. A highly collaborative blog, it invites input from people all around the world, asking them to list things that they have added to their own homes, and the reasons why. The eclectic nature of a lot of the blog’s contributors have helped make the blog vibrant, distinctive, and interesting. 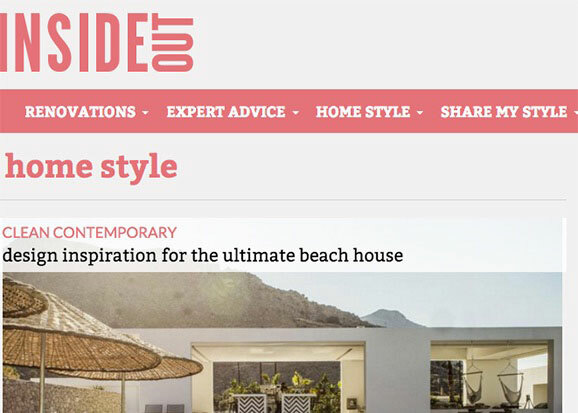 An Australian-based designer business, inadesignerhome brings together talent, both established and emerging, to help Australians design and execute modern and distinctive home spaces. 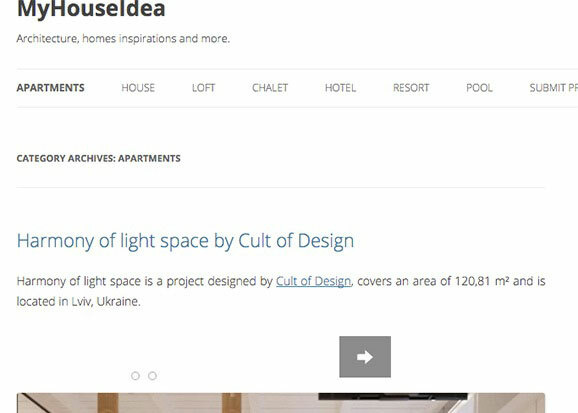 It uses its blog to showcase the work of designers from all around the world, and often features interviews with them about their projects. 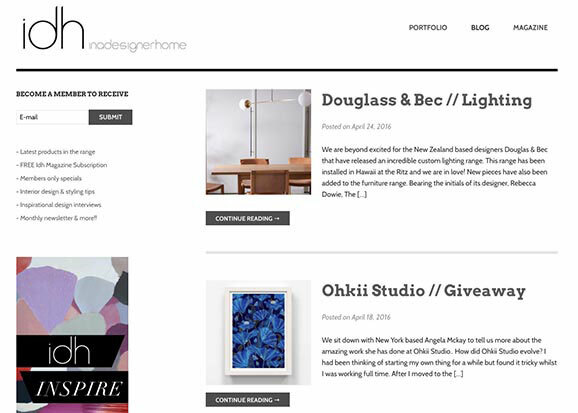 Because the variety of designers that the game showcases is so distinctive, inadesignerhome is a good way to get a feel for design trends from around the world. Kelly Wearstler is a veteran of both home and commercial design. 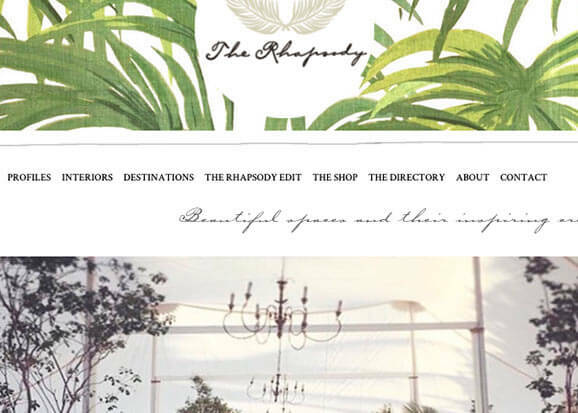 Focusing on luxury goods, her website is a comprehensive catalogue of the kind of designer products that you might want to include into your own designs. This is a one-stop-shop with dozens of products available in dozens of different categories. 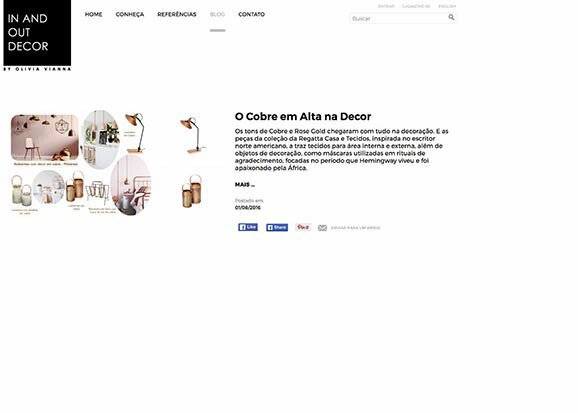 In and Out Decor is an essential design inspiration resource curated by Brazilian Olivia Vianna. Each post on the blog offers a gallery of photos, which highlight some of the interior trends that are most in vogue at the moment all around the world. Use this stunning source of ideas and inspiration to feed your interior design dreams. 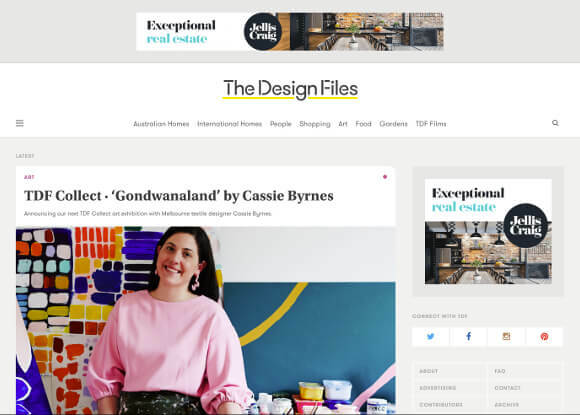 The Interiors Addict is the passion project from one of Australia’s most credentialed journalists, Jen Bishop, that then became her full-time job. 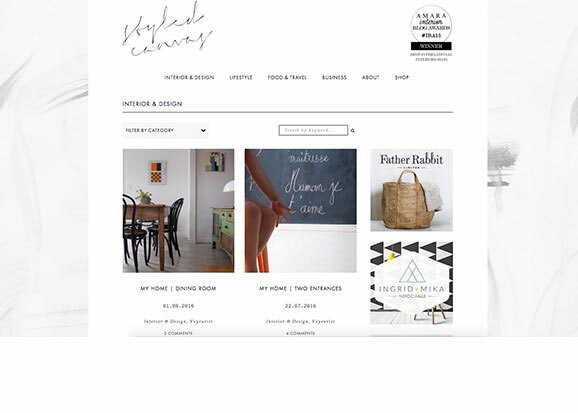 What sets this website apart from the others is that it is being managed from an enthusiast, rather than an interior design expert. As a result, the content is highly accessible to readers of all experience levels, and is the best entry point into interior design for someone just starting out. 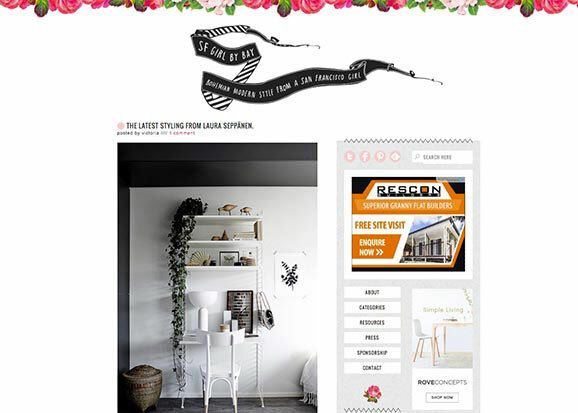 Design Addicts is a lifestyle blog that draws content and inspiration from all around the world. 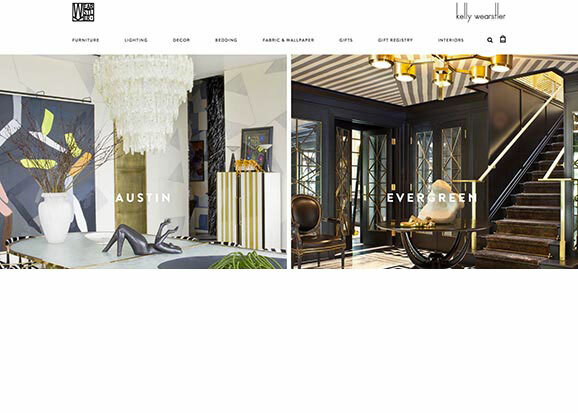 Aggregated onto other websites due to the quality of the content, Design Addicts specialises in finding truly distinctive examples of luxury architecture and interior design, and then publishing beautiful photos of these spaces in an inspirational and engaging manner. The Design Files explores the Australian design world inside and out. The site takes us into the homes of ordinary Australians on a weekly basis, talking with the designers and the occupants about their design choices, ranging from the innovative and modern to the classic and refined, and everything inbetween. 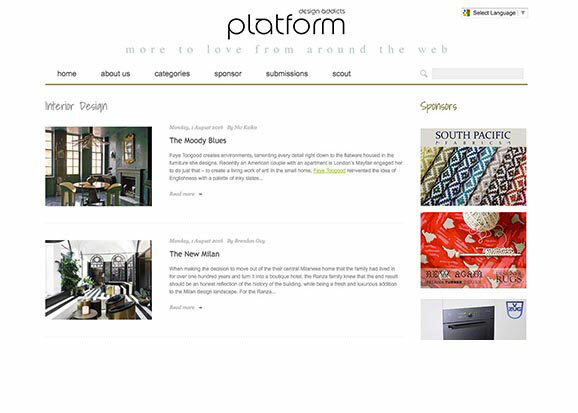 The site also explores garden, home design, food and the art worlds, with new articles on a daily basis.